Nile Swimmers is saddened by the recent attacks on Felix Foundation and the Ghana National Aquatic Rescue Unit (GNARU) by the International Life Saving Federation (ILS) and Ghana Lifesaving & Diving Association (GHALDA). These were documented in the New African (pages 60-61) this month. Similar threats have been received by Dan Graham, one of our co-founders. 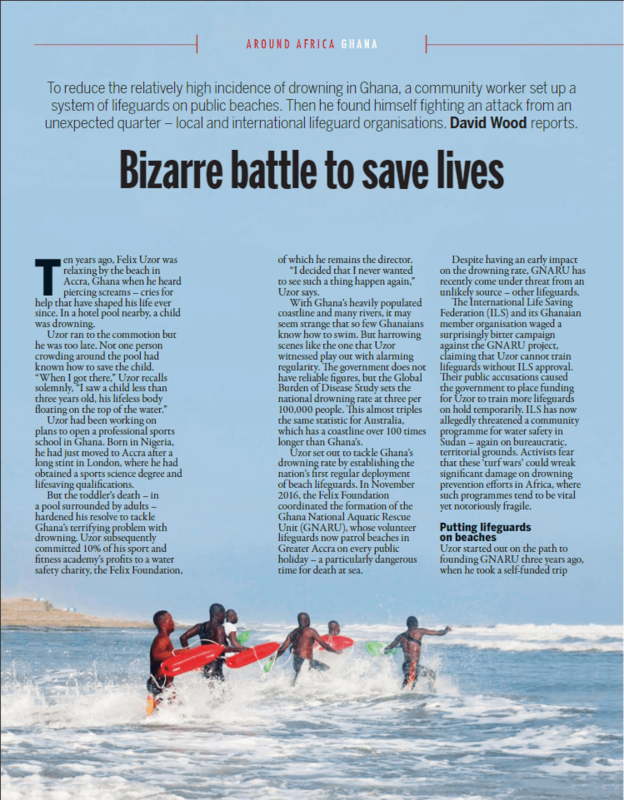 As shown by the temporary withdrawal of government funding from GNARU’s lifeguard training in Ghana, these attacks only damage the provision of drowning prevention services to the most vulnerable populations that we aim to protect. 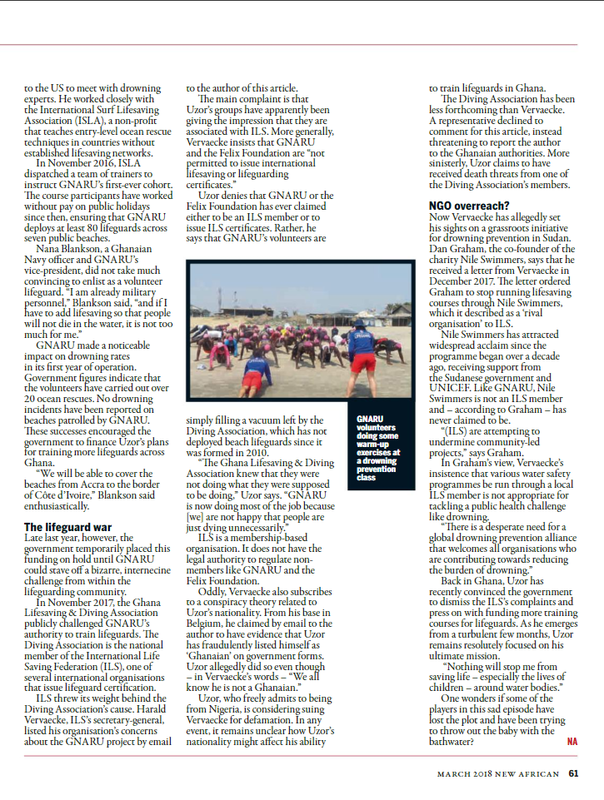 As an organisation registered in UK and Sudan, Nile Swimmers fully supports Dan’s comments from the article that “there is a desperate need for a global drowning prevention alliance that welcomes all organisations who are contributing towards reducing the burden of drowning”. We believe that collaborative and community-led projects are the most effective response for tackling a global public health challenge like drowning. In order to have an impact, we must welcome more organisations from diverse backgrounds including public health, disaster risk reduction, and social development, rather than shutting out organisations that are already actively tackling this problem. We are convinced that organisations that take an interest in drowning prevention have more in common than divides us. Nile Swimmers believes there is no need for rivalry between organisations with a common goal of preventing drowning and we are eager to play an active role in a truly global partnership for drowning partnership as soon as one exists.